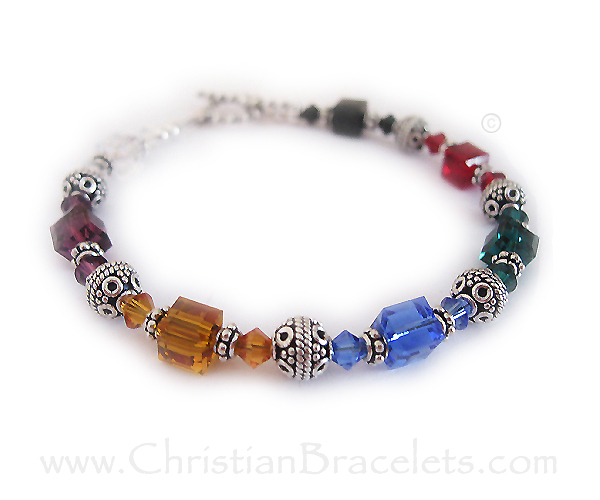 Gold & Sterling Silver Salvation Bracelets™ or Witness Bracelets come with Swarovski crystals. 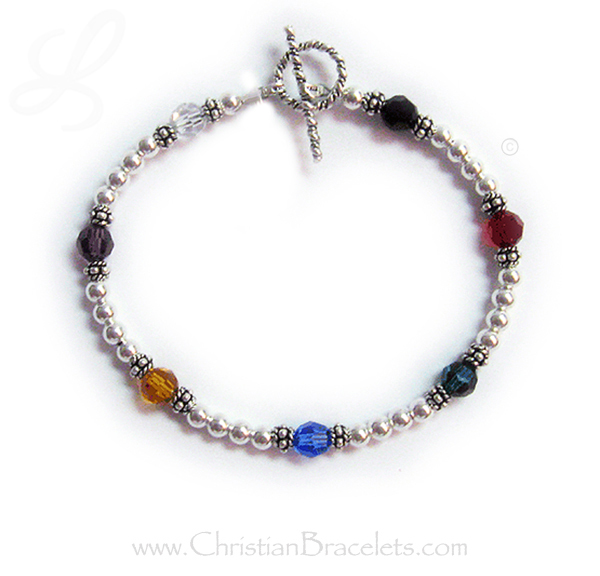 Our Salvation Bracelets come with .925 sterling silver and or 14k gold-filled beads and 6 or 7 - 4mm, 6mm or 8mm Swarovski crystals. 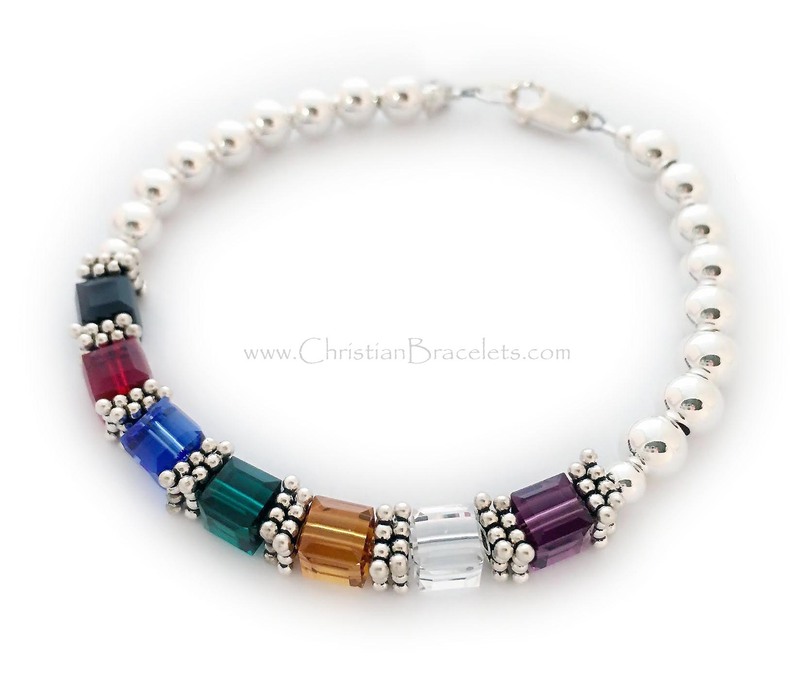 You may choose silver or gold beads during the ordering process. 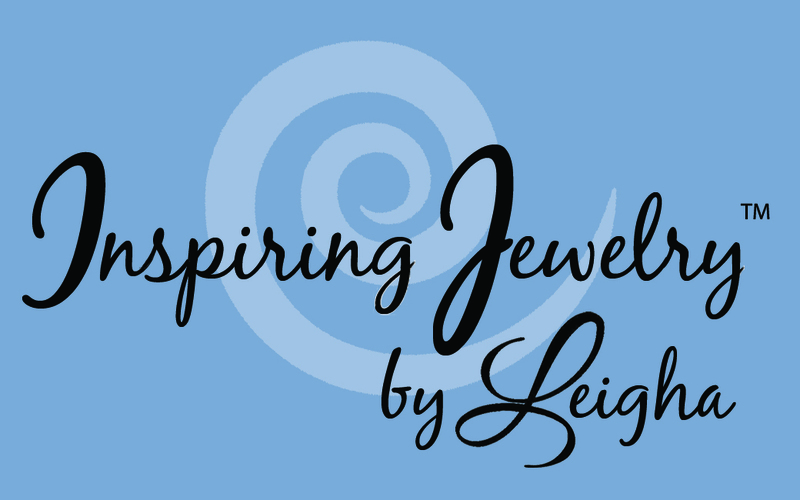 Sterling silver cross charms are optional. 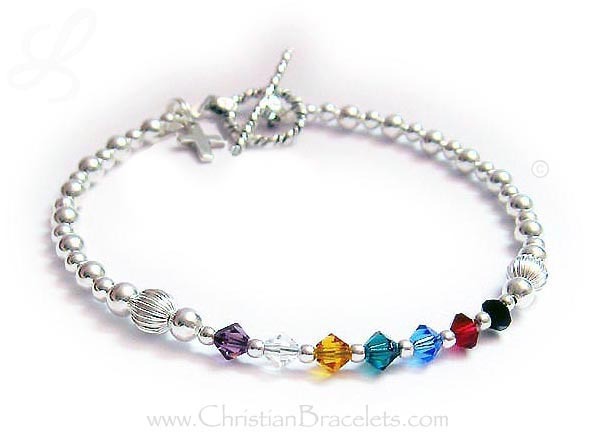 You may add prayer box charms, angels, hearts, crosses or any other charm you would like. 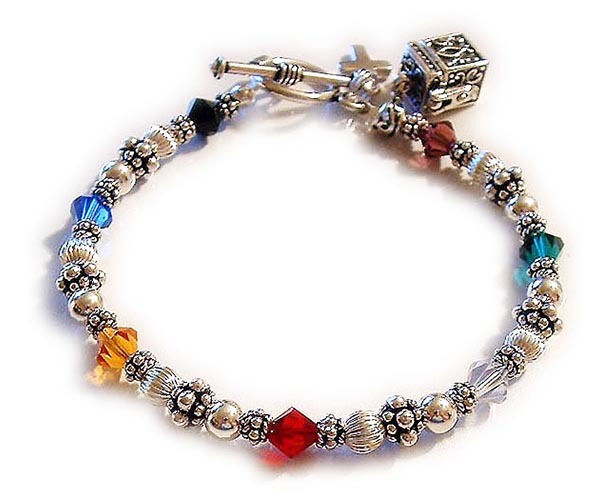 I have 100's of charms to choose from. 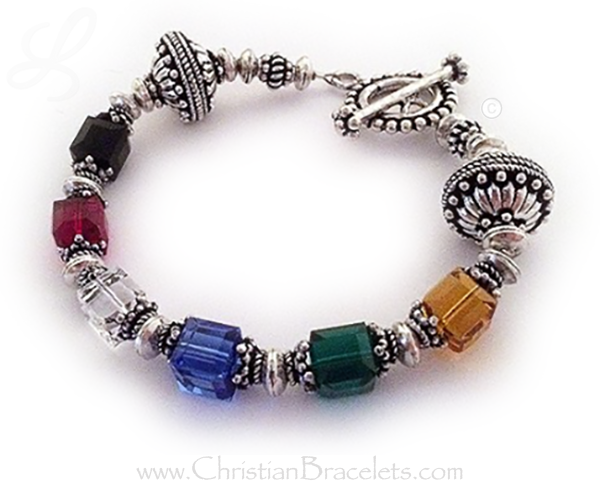 Let us know the order you would like the crystals. Black, red, white, blue, green, gold - is very common. Purple is free and optional.